An LCD or Liquid Crystal Display is a flat, thin display device consisting of any number of pixels aligned in front of a reflector or source of light. The LCD has been widely hailed as a prized invention as it is relatively cheap and it consumes less power to function than competing techologies, making it almost indespensable in battery powered electronic devices. LCDs are broadly classified as either transmissive or reflective, depending upon the position of their source of light. A transmissive LCD is illuminated by a light source from the back and is viewed from the front. 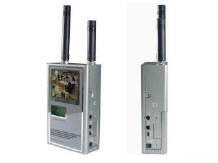 Such LCDs are used in applications where high luminous levels are required, such as computer displays, personal digital assistants, televisions, and mobile phones. On the other hand, reflective LCDs, usually found in digital displays of watches and calculators, are illuminated by an external light, which in turn is reflected back by a diffusing reflector located behind the display. As the light has to pass twice through the liquid crystal layer, it is attenuated twice and hence reflective LCDs produce darker blacks than its transmissive counterparts. But, since the same attenuating phenomenon, to an extent, happens in the translucent part of the liquid crystal layer as well, the contrast of the display image will be less than in a transmissive LCD. In terms of power consumption, reflective LCDs, due to the absence of an artificial light source, are more power efficient than their transmissive counterparts. There are now LCDs, which combine the basic features of both transmissive and reflective LCDs. They are called Transflective LCDs and they operate transmissively or reflectively depending upon the ambient light conditions. This is the basic architecture of a pixel in a LCD: A pixel is made up of a column of liquid crystal molecules, hung between two electrodes (transparent ones) and two polarizing filters, the axes of polarity of which are at 90 degrees to each other. The arrangement of these polarization filters is such that without any liquid crystal existing between them, the light traveling through one would be stopped by the other. The presence of liquid crystals changes the polarization of light entering one crystal, enabling it to pass through the other. This is the basic principle of the working of LCDs. What makes the liquid crystal polarize the light rays passing through it? It all happens at a molecular level. The liquid crystal molecules are electrically charged, and on application of an electric field to each transparent electrodes over each pixel/subpixel, the molecules are twisted on their axes by the electrostatic force. This changes the polarization of the light passing through the crystal, allowing only certain degrees of light to make its way through the polarizing filters. When an electric field is applied to the transparent electrodes attached to a pixel, the liquid crystal molecules will align themselves parallel to the applied field, thus limiting the polarization of the entering light. If the liquid crystal molecules are completely untwisted, the light making its way through them will be polarized at 90 degrees to the second filter, thereby completely blocking it from escaping. In other words, the LCD will appear unlit. Therefore, by controlling the alignment of liquid crystal molecules in a pixel, it is possible to vary the amount of light passing through it, thereby illuminating it accordingly. In color liquid crystal displays, each pixel is further classified into a number of subpixels representing the primary colors. They are lit by means of additional filters such that each subpixel can produce millions of possible colors. 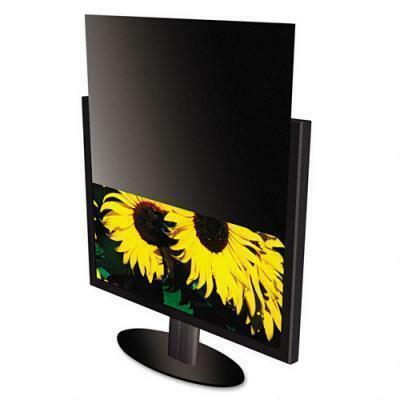 In color LCDs, color components can be grouped into separate pixel geometries, depending upon the usage of the monitor. If the software controlling the display understands the type of geometry being used by a paticular LCD monitor, the information can be used to improve the resolution of the display through a process called subpixel rendering. Subpixel rendering is used primarily to anti-alias text. LCD panels may have a few unlit pixels, caused by a defective transistor or some missing connection. But, unlike ICs, an LCD with a few dead pixel is still usable. The number of defective pixels permissible is determined by the manufacturer. Samsung offers its customers something called the “zero defective pixel guarantee”, which ensures a complete replacement of the product if there is even a single defective pixel on the monitor. 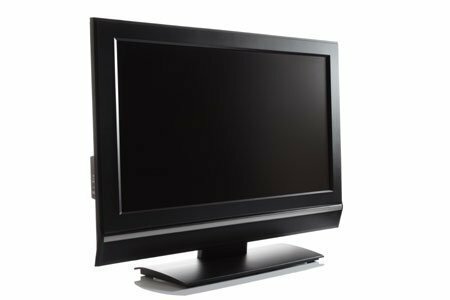 Before we end, here are some disadvantages of LCD displays, as opposed to other display technologies such as CRT and plasma. As opposed to CRTs, LCDs cannot form multiple resolution images. LCD’s can only produce clear images in their native resolution or a small fraction of it. The contrast ratio for LCD images is less than its CRT and plasma counterparts. Due to their longer response time, LCDs may show ghosting and mixing when images change rapidly. 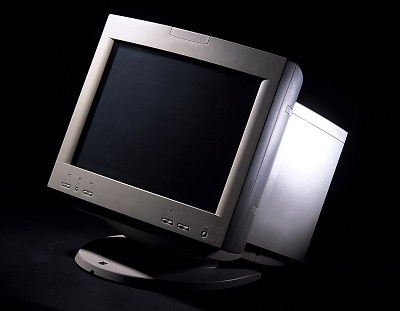 The viewing angle of an LCD is narrower than a CRT or plasma display, thereby restricting the number of people who can conveniently view the image on the screen at one time. Image persistence is a common phenomenon with LCDs. This is something comparable to screen burn-in on CRTs. Hello my Name is Harsh Tiwari . 1)Imagine that you have all the parts of a cell phone spread out in front of you, they are not assembled to look like a cell phone. 2)which of these parts are required to display a picture on the LCD screen of the cell phone, I want only the parts required, not speakers, not the camera, not dialing components, ONLY the physical parts needed to display a picture on the LCD screen and keep it. there. 189 queries in 0.310 seconds.